Nikon is a popular brand and we owe our readers a detailed Nikon Aculon binoculars review, since the series offers some great devices at incredible prices. 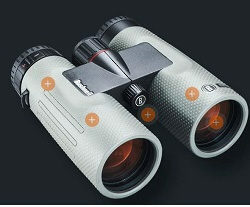 The series basically consists of compact and lightweight binoculars with multi-coated optics and other cool features and are suitable for a great variety of outdoor and indoor activities. Over the course of this guide, we will discuss the strong points and weaknesses of these binoculars. Are they really worth your money? The most interesting feature of the Nikon Aculon models is the wide variety of choices. For example, with the Aculon A30 series you get very compact binoculars that you can take with you on any trip. 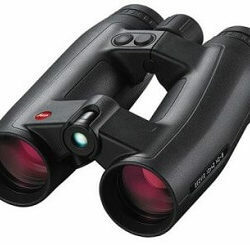 There are also several versions of zoom binoculars which have been widely praised in several Aculon binoculars reviews on the offer from this manufacturer. 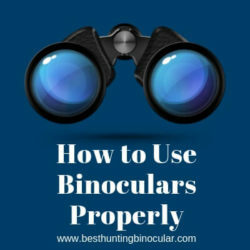 These types of binoculars are not limited to a single magnification but can be set variably. Thus, partial enlargements of up to x24 are possible. These include the Aculon T11, which is very compact and lightweight. The Aculon A211 in the zoom version, however, offers a large lens diameter, which captures a lot of light and bright images are optimally guaranteed. In addition, all models have a high-quality multi-layer coating, which ensures clear images. 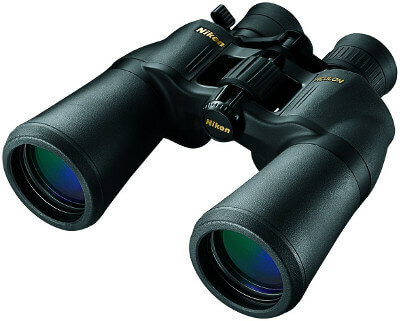 Of course, Nikon’s popular ECO glass is also used in this binocular series. The special glasses are completely free of lead or arsenic. Since the models are geared primarily for leisure, a high-quality rubber armor on the housing is indispensable. 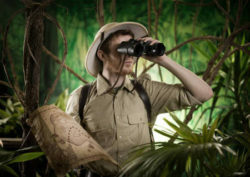 The armor protects the binoculars from scratches and bumps and ensures a non-slip and pleasant grip in all situations. Adjustable eyecups and a practical diopter compensation make the viewing experience for eyeglass wearers comfortable and optimal. The Aculon T11 and T01 are available in very attractive colors, such as red, blue, white, and black. One small drawback is that the binoculars are unfortunately neither waterproof nor filled with nitrogen. If you attach great importance to these features, you’d need to up your budget a bit. 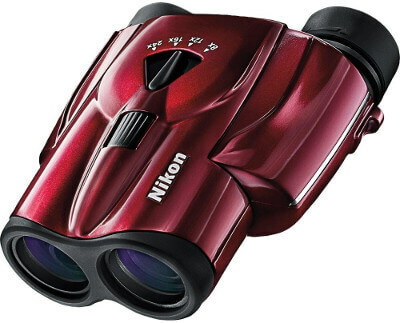 Nikon binoculars from the Prostaff or Monarch series are all waterproof; so you can buy one of these instead. But if you wouldn’t be needing those features, you’d save a lot of money with a Nikon Aculon. Sleek design and quality construction materials. Zoom feature allows for variable magnification levels. Perfect for leisure (sports, outdoor, travel). Multi-layer coating for clear pictures. Some models have a zoom feature. Ideal for wearers of glasses. Attractive color selection for the compact binoculars. Nikon Aculon binoculars can be used in a wide variety of ways, but they are precisely made for occasional use during leisure time. The Aculon A30, T01 and T11 models are ideal for holidays, traveling or hiking. They are also great for sporting events; and for opera or theater viewing, these models are more than just optimal. The compact size, coupled with the low weight make these models particularly handy. The Aculon A30 is available in 8×25 and 10×25 specifications, whichever you choose depends on your taste and magnification needs. The T01 model is also available in two different magnifications, namely 8×21 and 10×21.The situation is different with the Nikon Aculon T11, which is only available with a practical zoom function that allows magnifications from 8x to 24x in three different levels. The Nikon Aculon A211, on the other hand, gives you a luxury of choice, which ranges from 7×35 to 16×50 in popular models while the Zoom binoculars ranges from 8-18×42 to 10-22×50. Since a particularly large front lens diameter is offered here, the A211 models are particularly suitable for nature observations even in low light conditions. The price range is kept very low in these models, so the cheapest binoculars for just under $50 to have and the most expensive goes for under $150. 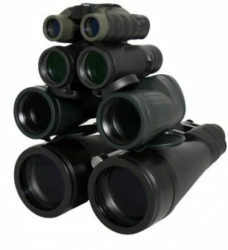 In between this relatively small price range is an extensive selection of great binoculars. From features to price, we’ve gone through everything you need to know about Nikon Aculon binoculars. 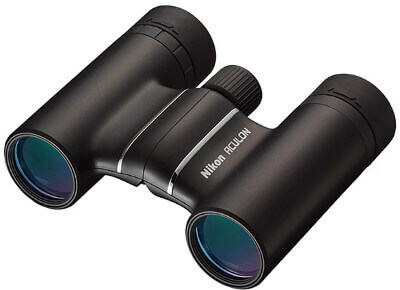 Whatever you need a binocular for, there is a befitting device in the Nikon Aculon series that would delight you. 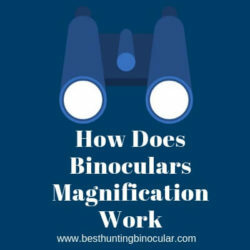 You just have to carry out your research and consider your needs to select the perfect one and this detailed Nikon Aculon binoculars review will make the process a lot easier.